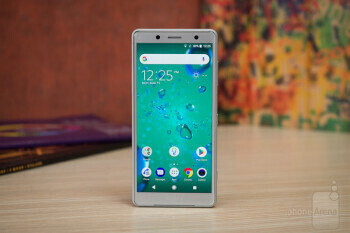 The Sony Xperia XZ2 Compact is the newest in a series of Sony phones made for those who want a phone of an almost lost kind: a compact and easily pocketable one. 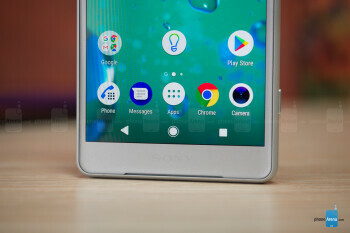 The XZ2 Compact is also the first “Compact” Sony with a 2:1 screen and the first with a nearly bezel-less display, so in many ways, this is Sony’s best effort in making the most out of an already small phone. But don’t be fooled and think compact means less powerful: this mini _phone_ runs on the latest and most powerful Snapdragon 845 system chip while also having the same 19MP camera with support for 4K HDR videos as the flagship XZ2. So, how does it feel to use such a small _phone_ in 2018? And are there any worthy alternatives? Stay with us to find out. About as compact as an iPhone 8, but much thicker and heavier. Plastic back is practical, but not as shiny or elegant. 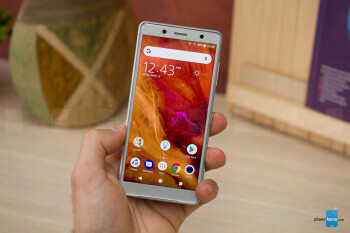 The Xperia XZ2 Compact is all about size and comfort, but how small and “compact” is it when compared to other phones? 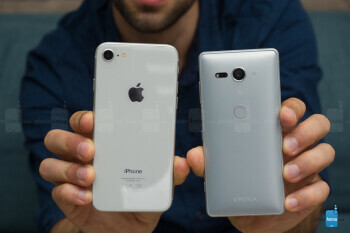 The dimensions of the phone are in fact just slightly smaller than those of the iPhone 8/7/6 or the LG G6, and the XZ2 Compact is actually significantly bigger than the diminutive iPhone SE.. At the same time, the XZ2 Compact is a very chubby phone, with a thickness of a whopping 0.48 inches (12.1mm), nearly twice as thick as most other modern phones. And it’s surprisingly heavy too at 5.93 ounces (168 grams). So while the XZ2 Compact is clearly a mini phone by today’s standards, it’s neither the smallest, nor the most compact one out there by merit of dimensions, but also by the added effect of its chubby body and weight. In terms of materials, the new compact Sony features a sturdy metal frame, but has a plastic back rather than a more premium glass or metal finish. The plastic has a matte finish and a translucent effect, and unlike glass, it does not get smudgy with fingerprints all that easily, not to mention that you don’t have to worry about it cracking. You also have a choice of four colors: you can get the XZ2 Compact in black, white silver (we have this one for review), moss green and coral pink. 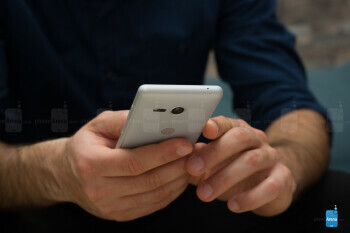 Overall, we find the looks and construction of the XZ2 Compact quite likable and practical, but we feel that the body is way too chubby and the phone is a bit too heavy, which makes it more noticeable and less comfortable to carry in a pocket. In terms of buttons, you have them all on the right side: the volume keys on the top, the power key in the middle. and a dedicated camera shutter button on the bottom. The power button in the middle is a bit of an inconvenience: had Sony positioned it a bit higher, it would be easier to reach, but its current position is a bit too low. and you have to fold your thumb a bit to reach it: not a dealbreaker, but still annoying. The camera shutter button is a two-way key: press it slightly to focus and press it all the way to take a shot. Also, hold it for a second and it will start the camera anytime. You also have the double-click for the power button that activates the camera, so a camera shutter button feels a bit redundant, but it is there. On the bottom is a USB-C port and… nothing else. 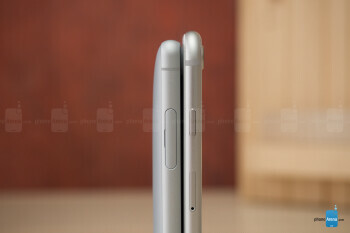 Nope, there's no 3.5mm headphone jack. This is annoying, especially because Sony does not seem to have any good reason for removing it. The company officially says it has removed the jack because of its new design approach and because wireless earphones are gaining popularity, although the latter likely has to do a lot with other companies dropping the headphone jack. Not a very inspiring explanation, is it? 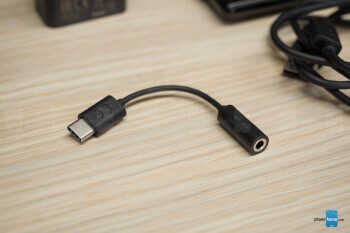 You do not get USB-C headphones in the box – that other company that dropped the jack includes a pair of wired headphones, in comparison – but only a USB-C to 3.5mm adapter. 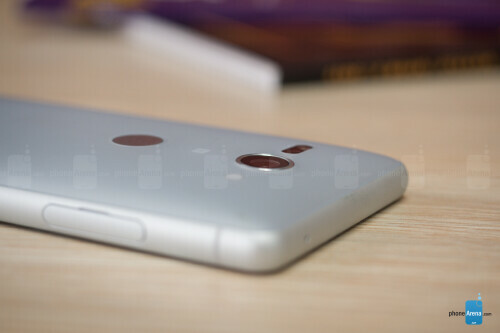 On the back you have a single camera that sits flush with the back, and below it is a round fingerprint scanner. Once you get used to the slightly lower position of the fingerprint scanner, it’s not hard to reach for it, but we noticed that it is slower than other fingerprint scanners, as it takes a moment or two to unlock the phone. Finally, we should note that the XZ2 Compact is dust- and water-resistant with an IP68 rating, which means the phone is tested to withstand being submerged in up to 5 feet deep fresh water for as long as 30 minutes. A 5” LCD 2:1 screen with good brightness and good colors. The XZ2 Compact comes with a 5-inch LCD display with a resolution of 1080 x 2160 pixels. 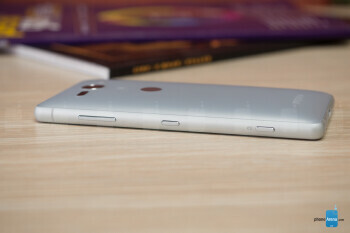 It is a narrower and taller display, with a 2:1 aspect ratio and slimmer bezels than before. We would not quite call this a truly bezel-less design as there are still quite noticeable bezels, and the screen-to-body ratio stands at some 74%, much lower than 82%+ ratio you get on Samsung Galaxy phones, the iPhone X or the Essential Phone. In terms of color reproduction, you get three color modes: Standard, Professional, and Super Vivid Mode. The default is the standard one which boasts noticeably saturated colors that look very punchy. The Super Vivid Mode goes further overboard and colors on it almost neon-like. 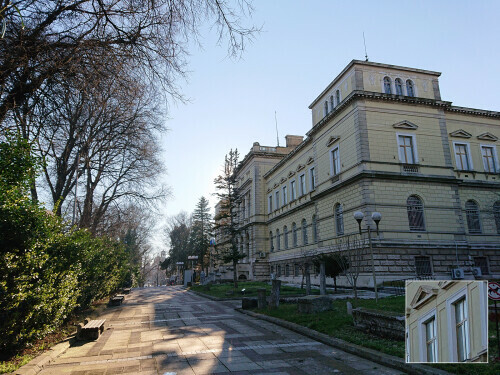 The Professional display mode adheres to the sRGB color standard, which for years has been the default one for the web and media, so it is best if you want to see accurate colors, but might look a bit undersaturated to some. Screen brightness is among the highest ever, reaching up to nearly 750 nits at its maximum level and going very dim at night, which is great. Android 8.0 with an unobtrusive Sony interface. Small screen makes it much slower to type. 3D creator is a gimmick, but a fun one. The Sony Xperia XZ2 Compact runs on Android 8.0 Oreo out of the box, which is expected for a 2018 phone. 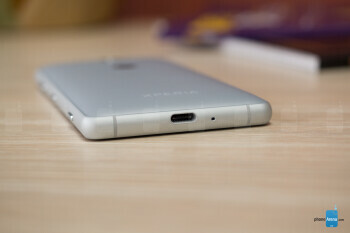 On top of Android you have the fairly light and unobtrusive Sony interface. 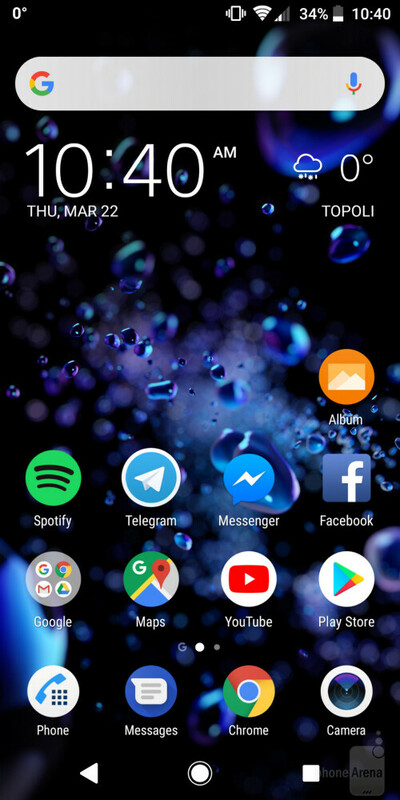 This interface brings a few embellishments: a super cool lockscreen clock widget, some great wallpaper animations and a fairly well-ordered menu, but nothing over the top. Sony ships the phone with a few essential apps including a few of its own making: the Album app is a clean and fast photo viewer (but you also have Google Photos for cloud storage), the dedicated Video app is another neat addition, and this being a Sony phone you have the PlayStation app, which allows you to download PS games from your phone, so that they are ready to play on a PS console when you get back home. All standard Android power-user features like split-screen multi-tasking are supported and work very well. One big downside of using such a small phone is typing. It is way slower and less accurate than on a bigger screen, and we caught ourselves making more mistakes. 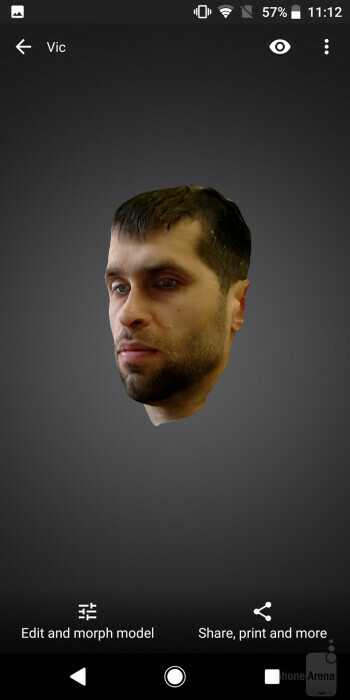 You also have the 3D Creator app on board the Xperia XZ2 Compact. 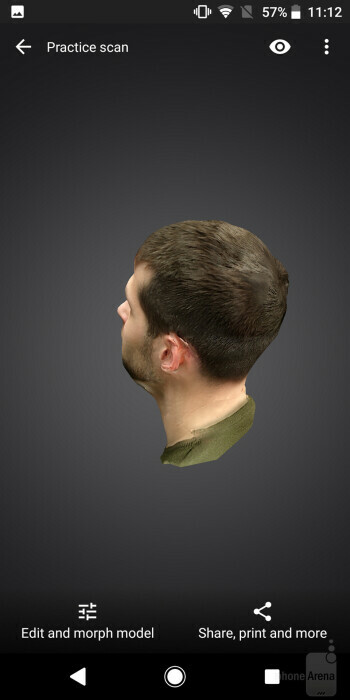 This is something that Sony has been working on for a few years now: the app allows you to scan your own or somebody else’s face or head – or even an object that's not too big or complex, such as a slice of cake or a stuffed toy – and get a fairly detailed 3D model of that. You can use the model to 3D print it, set it as a live wallpaper or just save as a file to show to your grandchildren one day. 3D models can also be posted on Facebook, and they do appear properly in your timeline. A full head scan requires having someone walking around you with the phone. It also requires some patience as it takes no less than a few minutes. If you have good light and a patient model, the results can turn out pretty good (if you don’t expect perfect detail and professional quality). 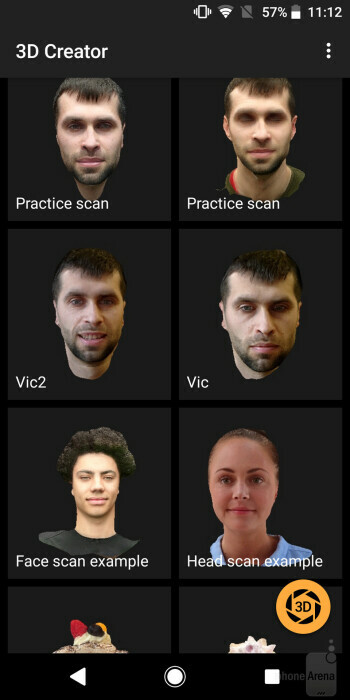 You can also use the selfie scan mode, which gets a face scan in less than a minute and does not require someone else walking around you scanning your face. The results are not as detailed, but the difference is really not that big. What do we think of all this? Well, it takes time and the quality is not yet there to have us really go ‘wow!’, but it is genuinely very cool technology to play around with and if you have a 3D printer around, you will want to try it. In the meantime, we hope that Sony keeps on improving the quality of the scans. A powerful Snapdragon 845 chip in a compact body. The Xperia XZ2 Compact might be small in physical size, but it’s not small in terms of the hardware inside. 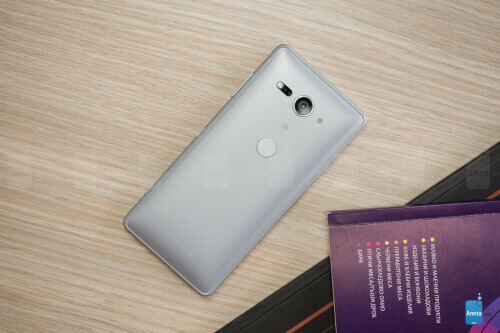 The phone runs on the Snapdragon 845 system chip and has 4GB of RAM on board, a powerful combination that puts it on par with other 2018 Android flagships. The phone runs mostly well in day-to-day use, but it comes with slower transitions, and animations don’t fully convey this feeling of speed. When we compare it to phones like the Pixel series or the OnePlus 5T, the XZ2 Compact feels slower. We have also had the phone randomly reboot once (hopefully an isolated incident). The phone does good with games and more intense tasks, though, and you can see that it is among our top benchmark performers. The XZ2 Compact comes with 64GB of on-board storage, 14GB of which are occupied by the OS, and you can add more storage via a microSD card. 64 gigs will be enough for most people, but if you play a lot of games or record 4K videos, you will definitely need more storage. Will work on Verizon, AT&T and T-Mobile. The XZ2 Compact is the first device in many years that is Verizon-certified, and will function properly on one of the biggest carriers in the United States. The mini phone is also compatible with GSM carriers like AT&T and T-Mobile. You also have full 4G LTE connectivity on this new Sony, and it has the new Qualcomm modem that supports LTE-A Category 15 with up to 800Mbps downloads and 75Mbps uploads, more than most modern networks can provide. To get online you have the Google Chrome browser built in and no other duplicate apps. Chrome is a fast and excellent browser with excellent syncing across various devices, but if you wish to use another one, you can simply download one from the Play Store. One weird thing about Sony phones and the XZ2 Compact is that every time you open the SIM card tray the phone will automatically restart. 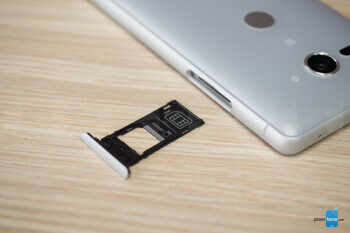 On a positive note, the SIM card tray is easy to open with just your finger, so you don’t actually need an ejector tool. Other connectivity options here include dual-band Wi-Fi, GPS+Glonass+Galileo+BeiDou support, NFC and Bluetooth 5.0. You also have fast file transfer with support for USB 3.1 via the USB-C port. 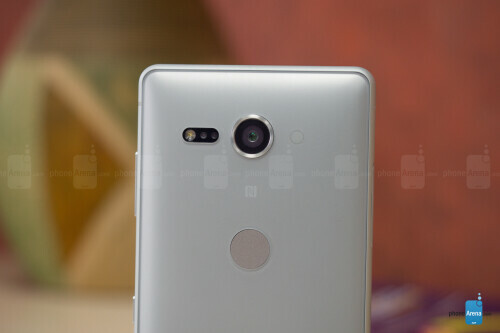 The Sony Xperia XZ2 Compact comes with a 19-megapixel “Motion Eye” camera and a single, 5-megapixel selfie shooter. There are no dual cameras or portrait mode. The only thing you get is a “Bokeh” mode that takes two pictures with different focus, and overlays them on top of one another to get a bokeh-like effect. It does not work with moving objects and it’s not on par with what rivals offer, but it is something. 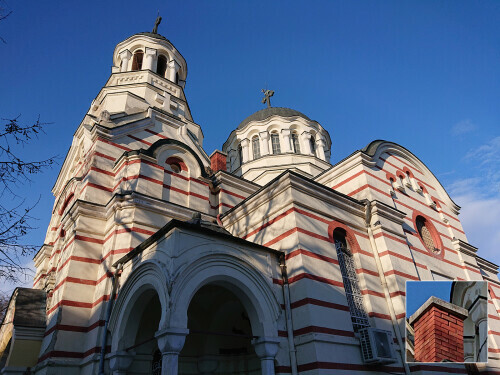 One different thing about Sony phone cameras, including the one on the XZ2 Compact, is that they come with very wide-angle lenses. While traditionally, phones have a lens with a focal length of about 26mm to 28mm, the XZ2 Compact has a 24mm lens, which is very wide. This makes it great for landscapes, but not so good for photos of people because of the slight distortion that you get at that focal length. 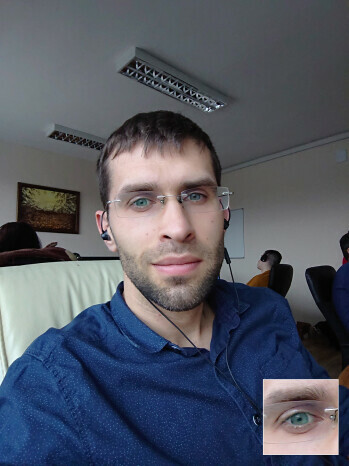 You can open the camera app itself by either double-clicking the power button or by a single long hold of the camera shutter key. What you notice immediately is that the view in the viewfinder does not quite run smoothly, but is noticeably stuttery when you move the camera. This is unexpected and quite frankly a big letdown for a flagship device. We hope Sony fixes this with an update. But how do photos actually turn out? Not bad by any means, but also definitely not on par with the amazing cameras that we have seen from others like Google with the Pixel 2, Apple with its iPhone 8 and X, and Samsung’s Galaxy series. 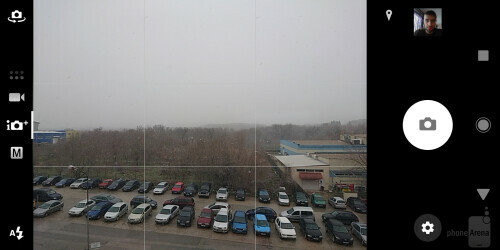 A glaring issue with all photos is the high amount of noise in them, visible when you take a close look. Even during broad daylight, the sky turns out grainy with noise. On top of that, the Xperia tends to shoot photos with boosted contrast. This is something that the iPhone is best known to do: shooting a picture with boosted contrast rather than taking a realistic photo, but the Xperia takes that one step further. The result is that you get photos where the dark areas are too dark and lacking detail, while whites are overblown and burned. At night, images lose detail further. The camera is unable to cope with the high dynamics of a dark scene with bright lights and burns out the lights. This camera is no match for the Pixel 2 XL, Galaxy S9 or even iPhone 8 at night. When it comes to selfies, the phone is just average at best. Images turn out very soft, with smudged out detail and no sharpness to them. 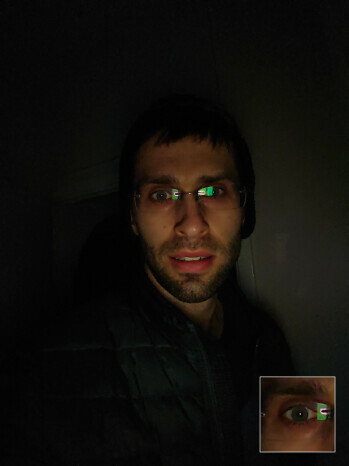 In low light, selfies are practically useless: they turn out way too dark, and it’s hard to see much in them. On the video front, Sony claims an industry-first: 4K HDR video. 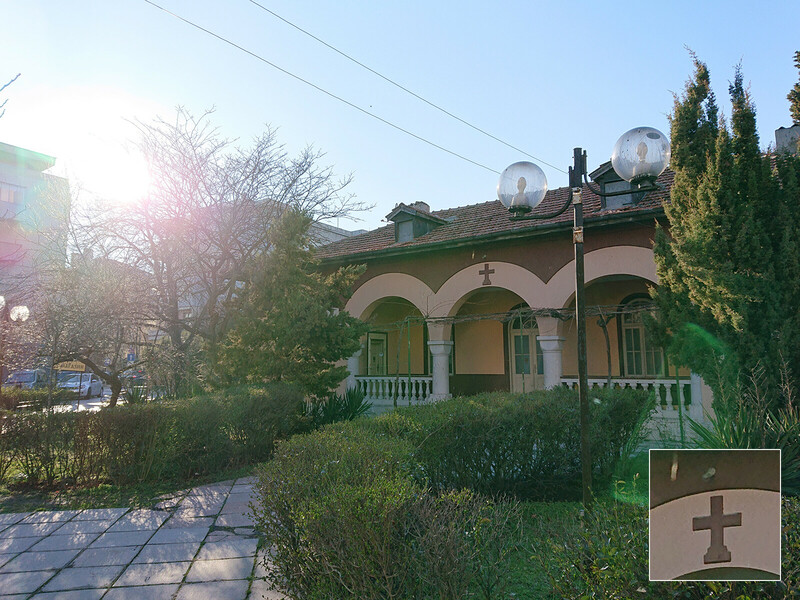 HDR, or high dynamic range, refers to what’s traditionally a photography technique where a few photos of the same scene at different exposure are combined to achieve a better dynamic range. Doing this for video means that you need to have the same process for every single frame of the video, which is an incredibly resource-intense process. Now that we know how it works, the question is whether 4K HDR actually looks better. Sony had a few demos at MWC 2018 where it showed big improvements in video quality, especially at night. But there's a catch: you need to have an HDR-compatible phone or TV to enjoy it. If you don’t have that equipment, colors will just not look the way they should. When HDR video works, it looks good: you indeed have a higher dynamic range, and it is something that can really give your videos that extra pop in the right situation: at night, for example, or when you are shooting against the sun. But keep in mind that this effect has its downsides, such as the higher amount of noise in low light. There are still situations where you should consider just using the regular, non-HDR video recording. 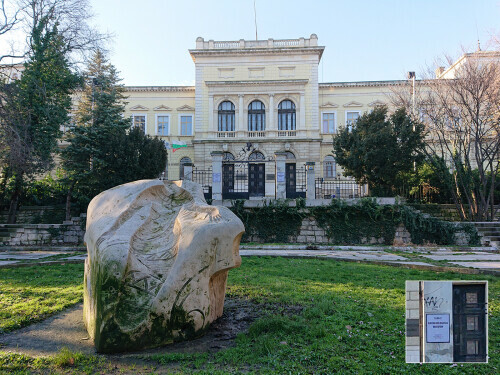 Sony traditionally has very good electronic image stabilization and the XZ2 Compact is no exception. However, the more advanced Intelligent Active stabilization is only available at 1080p resolution, while 4K videos use standard electronic stabilization. The latter still works pretty well, though. No headphone jack, but better stereo loudspeakers. You have a dual stereo loudspeaker system on this phone with an earpiece speaker and a front-firing second speaker at the bottom. They get fairly loud and the quality is good, but great speaker quality has become the norm in 2018. Phones like the iPhone 8, Galaxy S9 and even OnePlus 5T match and even slightly outdo the XZ2 Compact in loudspeaker quality. We’ve already mentioned the lack of a headphone jack, another inconvenience that Sony explains with the transition to wireless headphones, but cordless earbuds are still very expensive and may not be quite as good as a quality pair of wired cans. We did not have any issues with sound quality on the XZ2 Compact. Voices in the earpiece sound loud enough and have good clarity, and on the other end of the line the quality is also good. In real life, the XZ2 Compact has a very long-lasting battery. We have had no trouble getting through a full day on a single charge, and with more moderate use, you can stretch this to two days. To double-check our impressions, we also put the XZ2 Compact through our proprietary battery test against other popular phones. In our test, the XZ2 Compact scored north of 9 hours, an excellent score that is better than your average flagship phone. Interestingly though, the XZ2 Compact did not quite catch up to last year’s XZ1 Compact, which still holds one of the highest battery scores in our rankings. 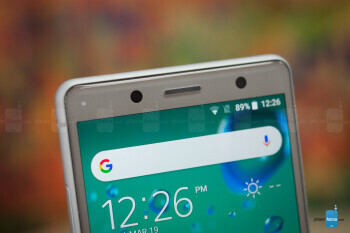 The difference is big and it is likely due to the bigger, higher-resolution screen: the XZ2 Compact features a 5-inch 1080 x 2160-pixel display, while last year's model had a 4.6-inch 720 x 1280-pixel display. Unfortunately, the XZ2 Compact is not among the fastest-charging phones out there. In the box is a Quick Charge 3.0 Sony wall charger, but it still charged the phone very slowly. It took around 2 hours and 25 minutes to fully charge the handset from 0 to 100%. This is especially bad when compared to phones like the OnePlus 5T that charges for just 1 hour and a half. Interestingly, you get a good charge boost in the first half an hour: for 30 minutes of charge, the phone goes from 0 to about 43%, but the charge really slows down towards the end. Unfortunately, there is no wireless charging on board. 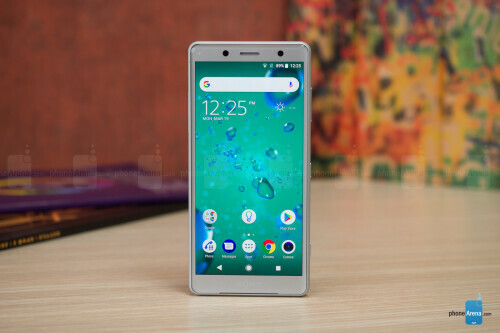 The Sony Xperia XZ2 Compact tries to win the hearts of those looking for a smaller phone, one that is easier to handle with just one hand and one that fits in every pocket easily. 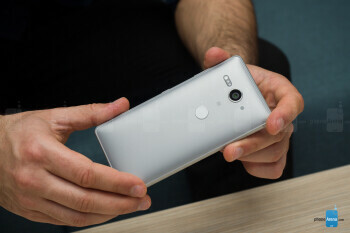 But thinking that the Xperia XZ2 Compact is special amongst all others and no other phone can match it in terms of size is blatantly false: the iPhone 8 and earlier models are about the same size, but the XZ2 is also nearly twice as thick as the iPhones and does not look nowhere near as elegant and stylish. 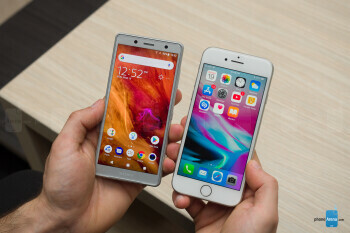 And if you are looking for a phone that is truly miniature in size, the Apple iPhone SE is the only one to truly live up to that name, but keep in mind that the iPhone SE while cheaper is also not as powerful and does not quite match the feature-set of the XZ2 Compact. The XZ2 Compact is priced at $600 (€600 in Europe), and this price makes it cheaper than flagship phones like the Galaxy S9 . Yet still, these rivals – while not as compact – bring a lot more to the table: the Galaxy S9 has the more refined design, a significantly better-looking display, a much better camera and that good old headphone jack. It is also again slightly bigger and more expensive, though. The Pixel 2 brings a superior camera, much smoother performance and Google’s unbeatable promise for fast Android software updates.